Live the good life and taste the still life! Make your way to Plus One Gallery’s November show for hyperrealist paintings to savour in a showcase of culinary art of the canvas. Five artists come together to provide a banquet of still life compositions of supersized treats enough to set your cravings going. Heaps of chocolate, sorbet and lollipops are only a few of the delights on display. Not only for those with a visual sweet tooth and predilection for candy colours, the exhibition also temps with earthy tones in the shape of mushrooms, nuts, ground coffee and more. Many of the paintings are stylised with a nod to pop art. 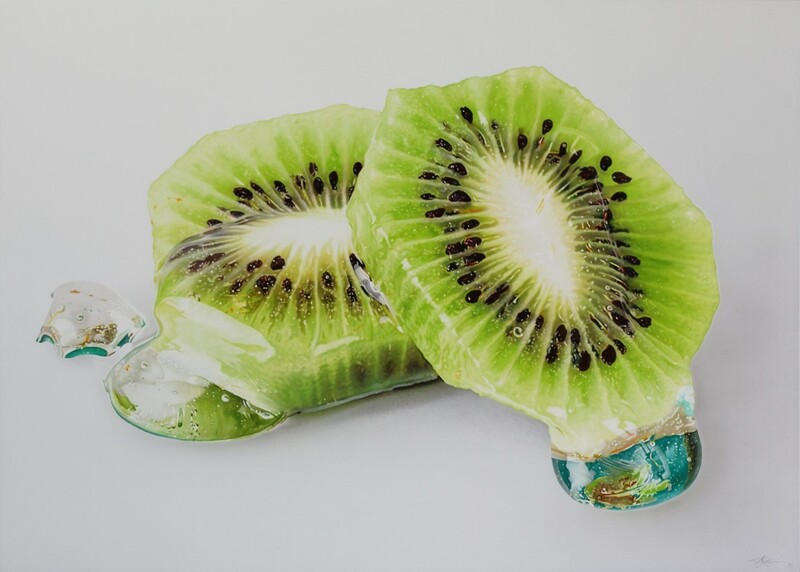 Indeed while the food within is desirable, these artists commonly pay heightened attention to the packaging and its range of detail and reflective properties. 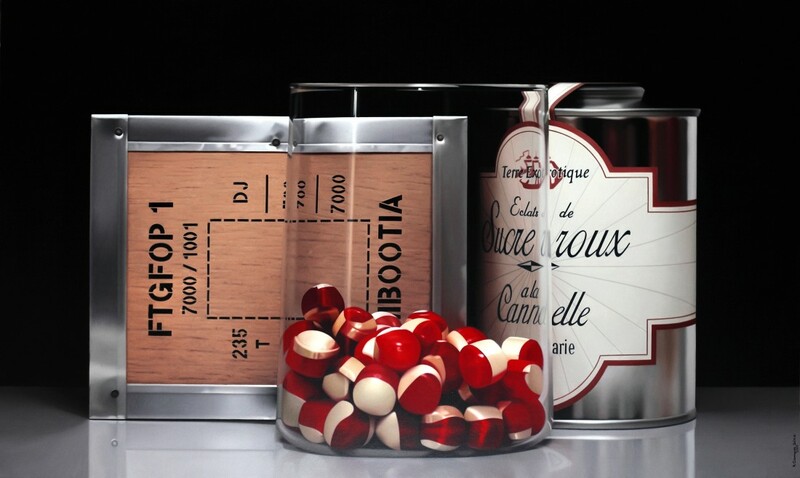 Big name brands appear in more than one artist paintings, a ketchup bottle by Tjalf Sparnaay competes for attention with a Cynthia Poole painting named “First Pop the Lid”, both featuring the Heinz brand. 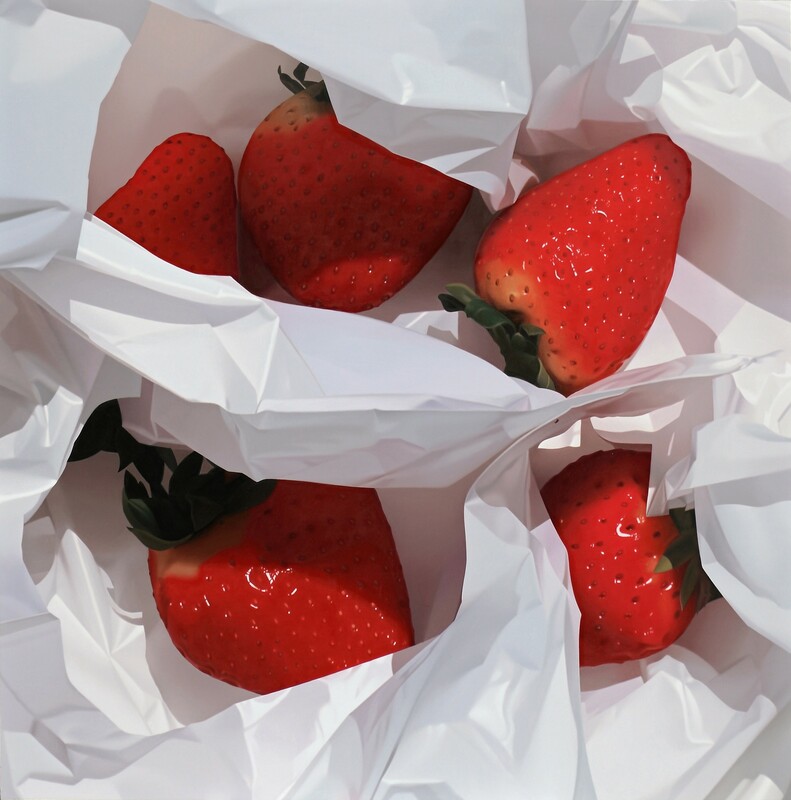 Plus One Gallery’s Bon Appétit exhibition is an ideal opportunity to compare paintings of a similar subject matter side by side, created by hyperrealist artists who use completely different techniques from each other. Tom Martin who almost exclusively works with layered manual airbrushing and Pedro Campos who favour traditional brush-work are two of the artists who beautifully represent this diversity to amazing results.